V2K franchise for sale. 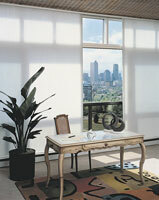 Free V2K Window Fashions blinds franchise information. Be a part of one of the FASTEST GROWING Window Treatment Franchises in <?xml:namespace prefix = st1 ns = "urn:schemas-microsoft-com:office:smarttags" />America! The Home Décor/Home Improvement Industry has exploded in recent years with the popularity of TV and Talk Radio shows that dominate the airwaves. The expansions of the "Big Box" Stores and Home & Garden shows have also added to the huge demand for products and services. More people and businesses are spending more money than ever before in their homes and businesses and our Franchisee's mobility and on-site sales is a perfect match for today's convenience driven customers. Most people don’t realize the size of the market place, or the demand for our products and services. You will be amazed at the opportunity. If you are ambitious and ready to reap the rewards of owning your own business and want to be in business for yourself but not by yourself, V2K is for you. To fully understand the opportunity and earnings potential of owning a V2K franchise, just fill out the information below to receive a Franchise Offering Circular and free information kit. To learn more about the V2K Window Fashions franchise opportunity, simply complete the form below.